Holidays in Valeggio sul Mincio ↔ Discover Lake Garda! The picturesque town on the river Mincio entertains on a cultural and culinary level. Translated into English, Valeggio sul Mincio means little villages on the Mincio. The town is located in the south of Lake Garda, just a few kilometres from the shore. The Mincio river begins at the most southern end of Lake Garda in Peschiera and flows into the Po. Those who choose Valeggio sul Mincio as the destination of their holiday at Lake Garda, do so because of its tranquillity and its culinary and cultural treasures. 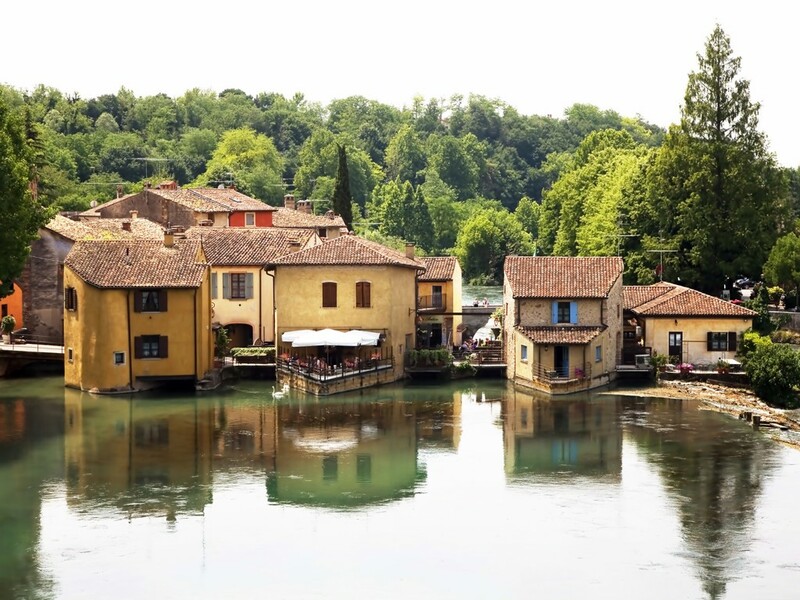 You can meander through the tourist centre of the village; Borghetto di Valeggio sul Mincio, which has an attractive pedestrian zone. Or visit the dam of Gian Galeazzo Visconti, built in 1393 to compete with the city of Mantua. The construction of the dam was excessively expensive for the time, so it was never commissioned. They built it anyway, and it still impresses today as a whimsical work amid the lovely river landscape. 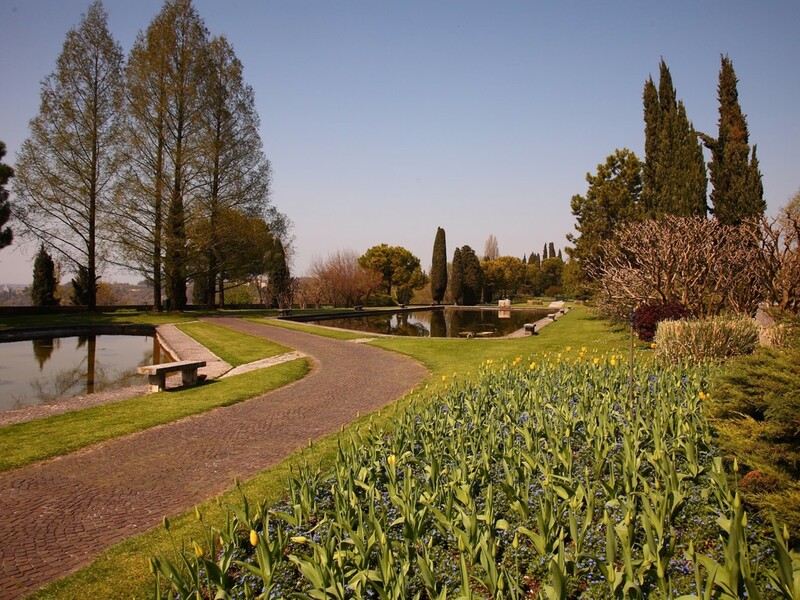 Valeggio sul Mincio, 12 km from Peschiera del Garda, also attracts culture-seeking tourists with the ruins of a Scaliger castle, Villa Sigurtà and the gardens of Parco Giardino Sigurtà. If you are looking for regional specialities, the original recipe of the delicious tortellini di Valeggio comes from here. Also called "Nodo D'amore" (knots of love). This treat even has its own celebration, which always takes place on the third Tuesday in June. At the "Festa del Nodo d'Amore", endless rows of tables are set up on the bridge. Get in quick though because the seats are always booked for months in advance! 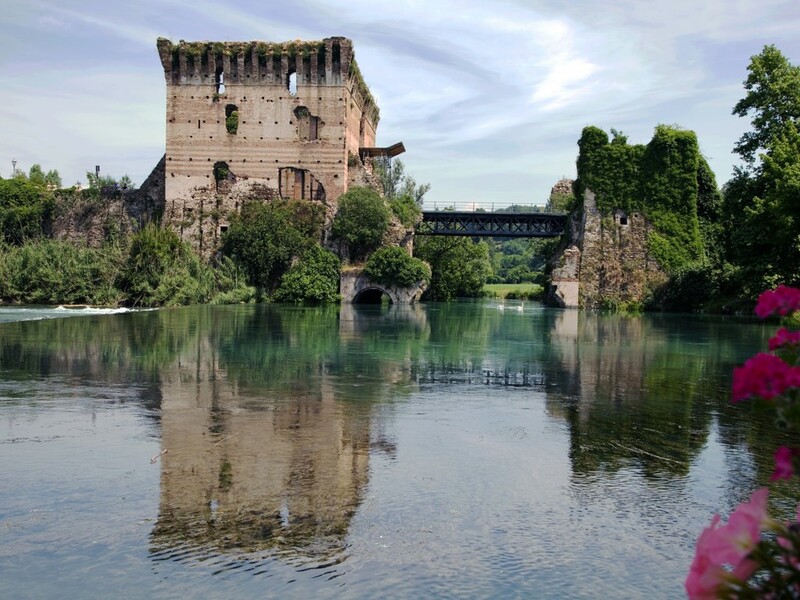 Discover the enchanting mills of Borghetto di Valeggio sul Mincio. 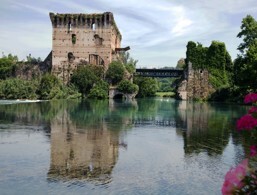 The old mill district on the west bank of the Mincio is the real tourist centre of Valeggio sul Mincio. The mill wheels still turn today at some old houses. There are also some excellent fish restaurants here. The original plan of the nobleman Gian Galeazza Visconti was to dam the water of the Mincio with the help of this massive brick building. This way, they could have drained Mantua further south, which at the time was in the hands of the Gonzaga family. However, the dam was never put into operation and today serves as a road bridge. The accommodations at Valeggio sul Mincio were rated 4 out of 5 stars by 1 users.